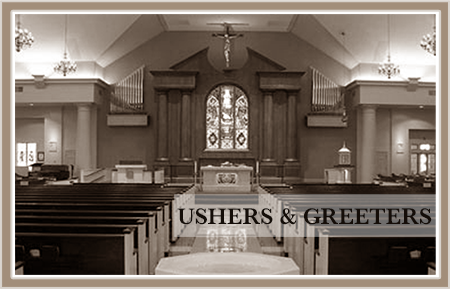 What are Ushers? Ushers at Christ The King Parish are the “Door Keepers and the Welcome Team” that make ready the Way of the Lord. They are a Dedicated group of Men & Women (Young and Old ), that perform a real service to GOD and the Church by providing a Strong sense of community. We have Senior Ushers (over 50) the Now Generation ( 30 to 50) and the New Generation (Teens to 30), all members of this most important Team. “We Need You-Be One of Us”.